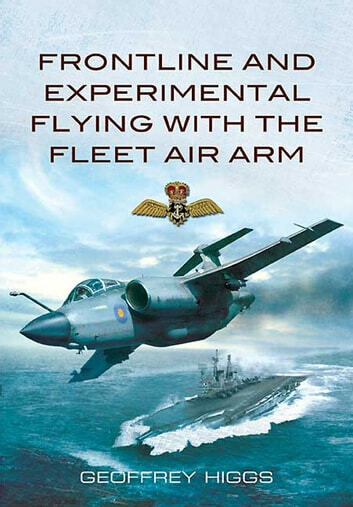 The spectacle of Alan Cobham’s Flying Circus and the Fleet at anchor in Weymouth inspired the author’s lifelong passion for aeroplanes, flying and the Royal Navy. World War Two provided the opportunity to fulfill his ambition and at eighteen he volunteered for the Fleet Air Arm as a pilot. Training in Canada began a Naval flying career that spanned thirty-years. Front line squadron service, embarked on aircraft carriers was followed by qualification as a flying instructor. 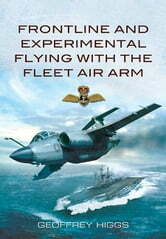 Selection for the Empire Test Pilots School at Farnborough and qualification as an experimental Test Pilot changed the direction of his naval career. In all he flew nearly one hundred types of aircraft and carried out close to a thousand deck landings. Initial flight testing of a number of new naval aircraft, as well as research flying in support of the development of aircraft such as the English Electric Lightning and Concorde added to a unique career. Such a long and varied period of flying was not without the inevitable mishaps. A near catastrophic catapult launch of a new naval aircraft, the jamming of the power control system in a research aircraft and hazardous flying through tropical storms at supersonic speeds to determine safety factors for Concorde’s intended Far East route were some of the dangers of flying at the cutting edge. As pilot, he flew the first Royal Naval aircraft to cross the Atlantic nonstop without in-flight refueling or navigational aids. He describes the fascinating ten day flight from Croydon to Rangoon across Europe, the Middle East, Pakistan and India to deliver a Percival Provost trainer to the Burmese Air Force.